We all intuitively sense the emotional and psychological effects of music. Sometimes it moves like a wave up your body and seems to touch a profound aspect of our nature. 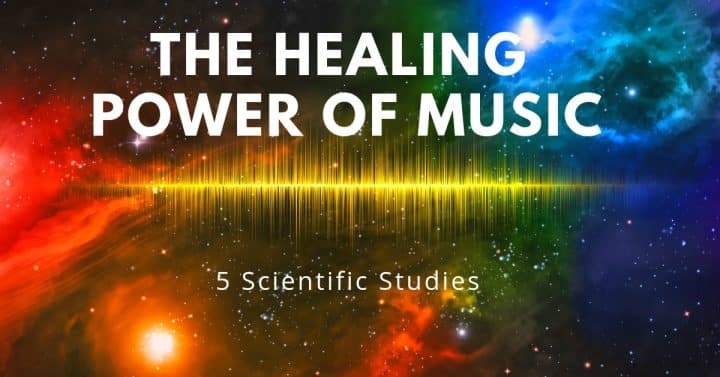 Now we have science to quantify and test the effects of music, and it’s power to heal and assist us on our human journey. Before we go on to the studies themselves here’s how I would define healing music. i.e. Compositions that may have the effects described in the studies below. You can click here to listen to all my music. Here are 5 scientific studies that show music’s ability to improve human health and performance. Each of the five sections includes a direct link to the study’s results. Conclusion: In a large scale review of 400 research papers on the neurochemistry of music it was shown that playing and listening to music has benefits for both mental and physical health. Music was found both to improve the subjects immune system and to reduce stress. Listening to music was also found to be more effective than prescription drugs in reducing anxiety before surgery. Conclusion: This study investigated the impact of different types of music on heart rate variability which is correlated with the risk of cardiovascular events like heart disease and stroke. Pop music, no music and soothing meditation style music were all compared. Yoga music was the only one that registered a lowering of anxiety levels before sleep. Conclusion: Cyclists performing below their maximum exercise not only worked harder with faster music but also chose to do so and enjoyed the music more when it was played at a quicker tempo. The right kinds of music made it easier for atheletes to push themselves harder and enjoy themselves more in the process! Conclusion: Regular self-directed music listening during the early post-stroke stage can enhance recovery and prevent negative moods. In the 2-month period after a stroke, patients who listened to their favourite music 1–2 hours a day showed greater improvement in attention and memory than patients who listened to audio books or received no listening material. Conclusion: Young people with poor sleep patterns reported a significant improvement in sleep quality and a reduction in depression when listening to relaxing classical music compared with audiobooks or no music at all. Relaxing classical music is an effective intervention in reducing sleeping problems. Nurses could use this safe, cheap and easy to learn method to treat insomnia. Well, there you have it. Science is fantastic and so is music! These studies show that the right type of music used skillfully can make life more healing, help you go faster, get over an injury, sleep better and reduce depression. here’s another example of ‘soothing’ yoga music! This track is from the album ‘Homecoming’ and is currently only available as part of The Ultimate Yoga Music Bundle. Music is your friend. Start using it today to make your life better.